Frank Wenzl is one of the pioneers in the craft beer industry in Hawaii. The New Jersey native has been living in Hawaii for more than 30 years and brewing professionally for more than half of that time. Frank’s latest venture is Hawaiian Islands Brewing Company, which he started with longtime brewing partner Greg Yount. Frank shared with me some of his thoughts on the past, present and future of Hawaii’s craft beer scene. How did you end up moving to Hawaii? I am originally from Mount Holly, New Jersey. Grew up drinking European beers and always had a passion for more flavor. I drove out to the San Jose area the start of 1980, stayed 3 months, then on my way back, stopped in Hawaii for 3 weeks. I was sold, went back to New Jersey, saved some money and moved back on Sunday, December 7, 1980. The next day John Lennon was shot. How did you first meet your business partner and brewer Greg Yount? We met through a mutual friend, Rob Reeder. He was brewing at Ali’I Brewing Company, and introduced Greg and Scott Spicola, who had done some home brewing and wanted to learn on a large scale. Kai McKillup (assistant brewer at Hawaiian Islands Brewing) was introduced to us by Vice. He wanted to get in and learn the process as well. Wanting to be a brewer, takes passion and dedication. It is hard work. What was it like starting and running Ali’i Brewing? Ali’i was full of challenges. One of our investors had invested bottling equipment instead of cash. This was fine, but it was an old Pepsi bottling line from California. It took quite some effort and time to get it working reliably. This resulted in quite a bit of distraction in the early months of operations. Selling a local beer seemed like an easy task in theory, but took quite a bit of convincing in reality. We launched our flagship beer, Ali’i Amber Ale, in an attempt to provide an entry level craft beer that wasn’t too scary for the uninitiated. From there, we produced 8 styles of beer and made the business decision to package 22oz bottles for easier retail shelf penetration. What were some of the challenges to running a microbrewery in Hawaii during the 90’s? The market size is small, the cost of shipping and overhead in Hawaii is high, so providing a beer at a competitive price on the shelf was a financial challenge. Back in the early 90s, the big breweries were afraid of craft brewery growth into their marketplace, so they devised a plan to “muddy the waters”. Many beers appeared on the market resembling craft beers, but I believe were introduced to confuse the consumer. Red Dog, Red Wolf, Icehouse, etc. Basically the same old big brewery beers in new packaging. “Yep, tried me a craft beer once. Tasted just like Bud, so I went back to Bud.” Ironically, today the cost of grain, glass, shipping, utilities and most everything else associated with making beer in Hawaii, has gone up substantially since the 90s. Meanwhile, the price of beer on the shelf has not risen in step with the production costs. What did you do after Ali’i Brewing? Greg continued on at Ali’i after I left in 1996. I consulted to build a brewery in Majuro, Marshall Islands in 1997, then another in Koror, Palau in 1998. After that, I decided to go back to the software development business, which I had done previous to beer. Greg took the position as head brewer at Palau Brewing Company in 1998. Why open a brewery in Palau? I acted as a consultant for Western Carolinas Trading Company in Koror. I sourced all of the equipment from the U.S. and arranged shipping to Koror. I went on site with Greg and we setup the brewery in 3 weeks time. Did a bit of diving when time permitted. It was hot and quite a different experience from Hawaii with only 15,000 people living there at the time. Getting the simplest parts from the hardware store proved challenging. What did you do after working in Palau? I went to work in the Real Estate software business after that. I designed and developed the first commercial Multiple Listing Service software for the internet in 1998. Since then, I have been involved with many companies over the years providing websites, back office integrations and other applications to improve the Real Estate Transaction Process from start to finish. Why did you and Greg decide to open Hawaiian Islands Brewing Company? We love beer and while more good beer has become available in Hawaii in recent years, we felt the selection was still too limited, so why not provide some beer of our own to satisfy our needs, and hopefully the needs of others. The brewery was not being utilized, so we decided to take advantage of the void. 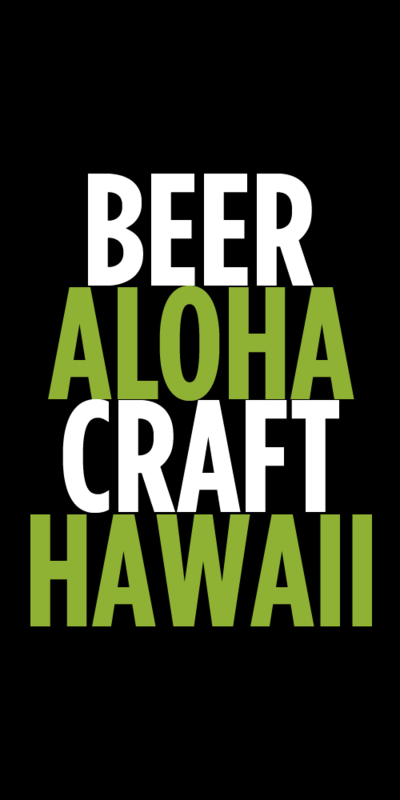 What do you think has changed in the Hawaii beer community since running Ali’i Brewing? Beer drinkers today are far more aware of the choices in craft beers and they know what they want before they taste it. In the Ali’i days, most beer drinkers had never experience a craft beer and tried different styles as explorers. What kind of beers are you focused on brewing at HIBC? We find that most of the craft beer consumers are demanding highly hopped beers. IPAs to be exact. Greg and I are both avid fans of this style of beer, so we are most interested in making these types of beer. Additionally, we want to offer unique Hawaii influenced beers such as our Mango Wheat Ale, Macadamia Nut Brown Ale and Kona Coffee Stout. What is your relationship with Inferno Pizza? Vice Honolulu Nightclub, Inferno’s Pizza and Hawaiian Islands Brewing Company have formed what I would call a business hui. We work together to share the same space and split expenses.Inferno’s and HIBC have a tight relationship, much the same way as beer and pizza go naturally together. The beer helps sell more pizza and the pizza helps sell more beer. What is your best selling beer or style? We sell more IPA than anything else, Mango Wheat comes in second and the Macadamia Nut Brown Ale comes in next in demand. How did you get interest in brewing? Where you home brewers first? Both of us were home brewers originally. I started home brewing in 1993 and within 6 months, I had my amber ale recipe where I wanted it. Kai McKillup, who brews with us, also comes from a home brewing background. I would guess that most every craft brewer in the country started out home brewing these days. 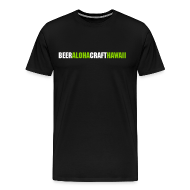 I put together a business plan and started talking to investors to build Hawaii’s Original Microbrewery. In early October 1994, we sold our first beers. Beer seems to be a glamorous business, but in fact, it is a very difficult business to be in. Lots of things can go wrong and you need to be able to correct problems quickly. Delayed shipments, failed equipment, the list is endless. The reason for all of these challenges is the smiles and laughter you get from people when they enjoy the final product. And of course, a seemingly endless supply of beer for ourselves. What was the first craft beer that got you hooked? What beer style would you like to see gain more popularity? What styles do you think fit best in Hawaii’s tropical climate? Style is a personal choice, so my personal preference is for heavier beer styles with higher alcohol content. I would rather drink one very good beer than six watery, fizzy things that I refer to as “water with beer flavor added”. I would prefer a glass of water with my beer, rather than in it. I always hear people referring to “a style that fits the climate”. In these modern days, we have air conditioning for those really hot days, and coming from New Jersey, I have never experienced a hot day in Hawaii that can compare. Nobody would ask this question of a brewery in New Jersey, so I would say the answer is simply: “whatever beer style you like”. How do you come up with new recipes and ideas for new beers? We usually sit down with our personal beer selection in hand and have an open discussion around a certain style that we could make. If we all agree, then we discuss the recipe, the pros/cons of certain ingredients and quantities, then we commit to making it. Usually, we are pretty close to what we expected. All beer can use improvement and that comes with each successive batch. What are your future plans and goals for HIBC? We are looking for investment at this time. We would like to build a new 30 BBL brewery with a bottling line and restaurant in front. This would allow us to export beer to the mainland, where there is a big demand for the styles of beer we produce. I see it somewhat in the same place it is today. Perhaps a few more multi-tap destinations, but we are too small to ever become as diverse as some mainland areas. Tags: Frank Wenzl, Greg Yount, Hawaiian Islands Brewing Company, Interview. Bookmark the permalink.